Yoyo Wang, female, 35 years old. The founder of China doll rare disease care center, secretary general of disease challenge foundation, rare disease personage, EMBA of Cheung Kong Graduate School of Business. For the past decade, she has been devoted to promoting the solution of rare diseases and the progress of social cognition of rare diseases. In 2008, the creation of porcelain dolls, rare diseases, international day of rare diseases in China's public awareness. 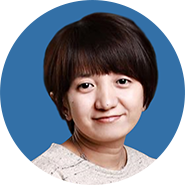 In 2014, she led a porcelain doll team and Sina Weibo to successfully plan and launch the ice bucket challenge in China, and raised tens of millions of funds to help nearly 1,000 people with rare diseases such as amyotrophic lateral sclerosis (ALS). In 2016, the pain challenge foundation was jointly launched with the Nandu public welfare foundation to build a platform for the field of rare diseases and explore how to leverage complex rare diseases through cross-border, innovative and joint approaches.